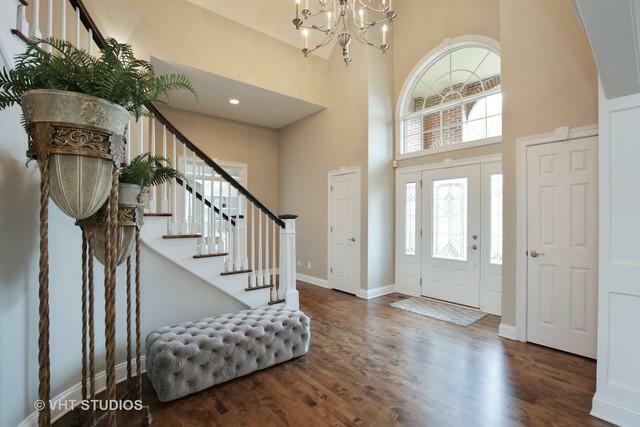 STUNNING 2-story foyer with curved open staircase looks straight out of a designer magazine. 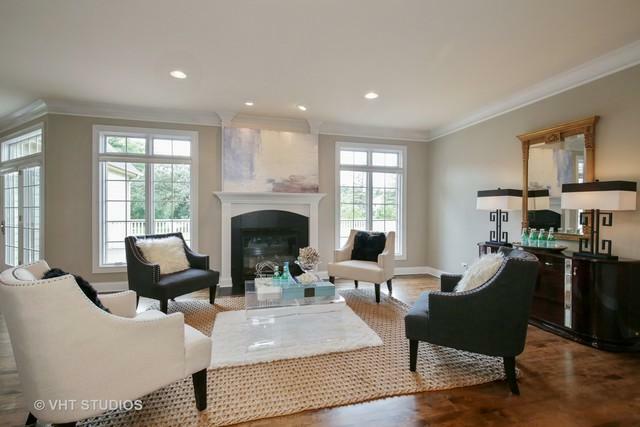 This updated custom home boasts newly refinished solid maple floors, fresh neutral paint and crisp white trim. A generous open floorplan featuring 3 FP's, 10 ft. ceilings and large gourmet kitchen that opens to the family room is perfect for entertaining. The luxury 1ST FLOOR MASTER suite has generous sized bath w/ garden tub, sep. shower and spacious walk in closet. The den offers built-in book cases and floor to ceiling windows which flood it w/ natural light. Spacious 2nd floor bdrms all have tray ceilings, walk in closets and full bths. An english basement is perfectly set up for possible INLAW arrangement, w/lg. bdrm., full bath and great spaces for adult and kids entertainment. Home is in a neighborhood setting, yet plenty of space and privacy. Just mins to hospitals, TOP RATED Schools, metra train, golf and downtown shopping. Dual/zoned heating and A/C. QUICK CLOSE POSSIBLE. Sold by Hometown Realty, Ltd..